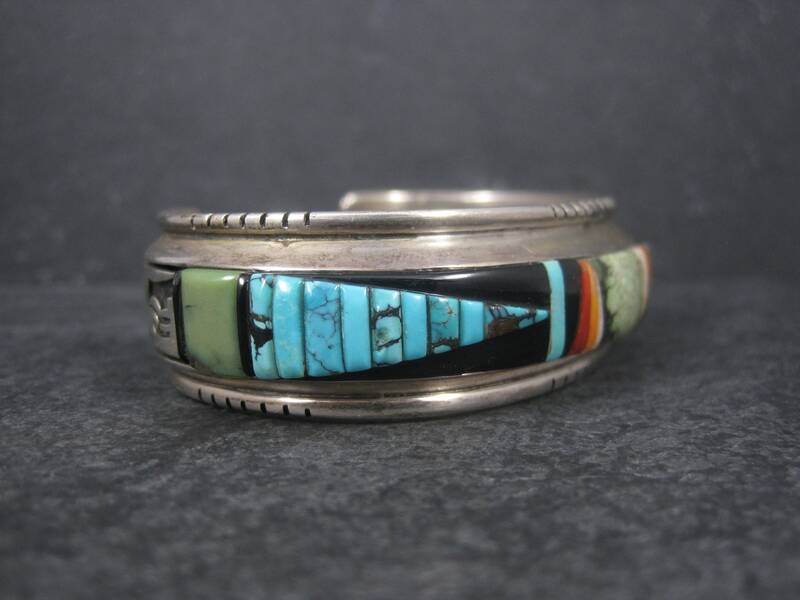 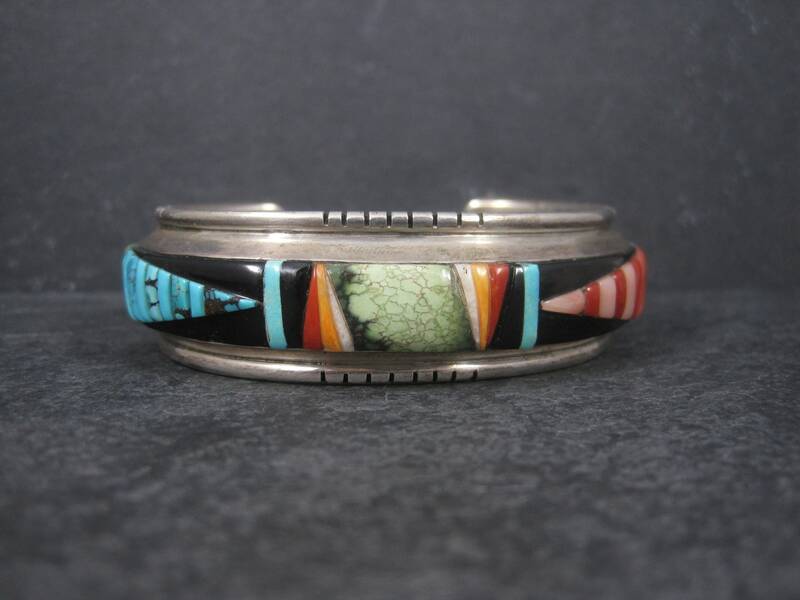 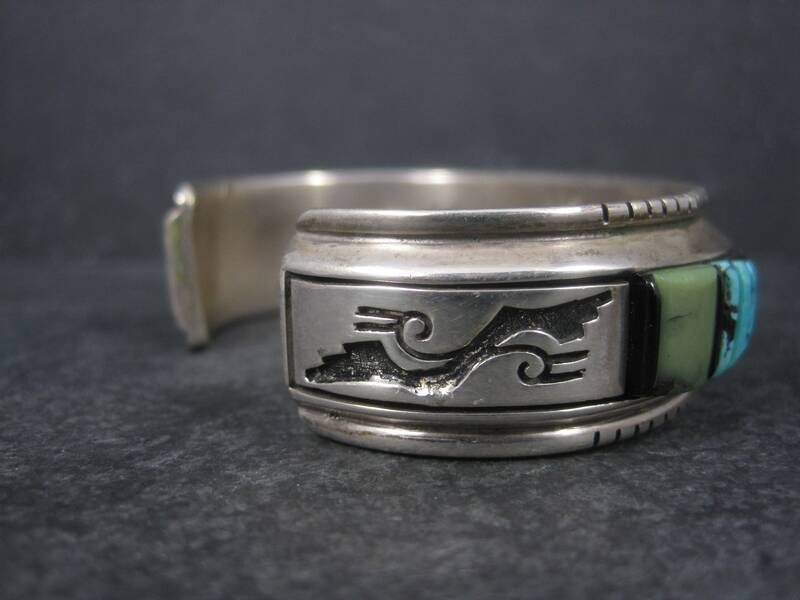 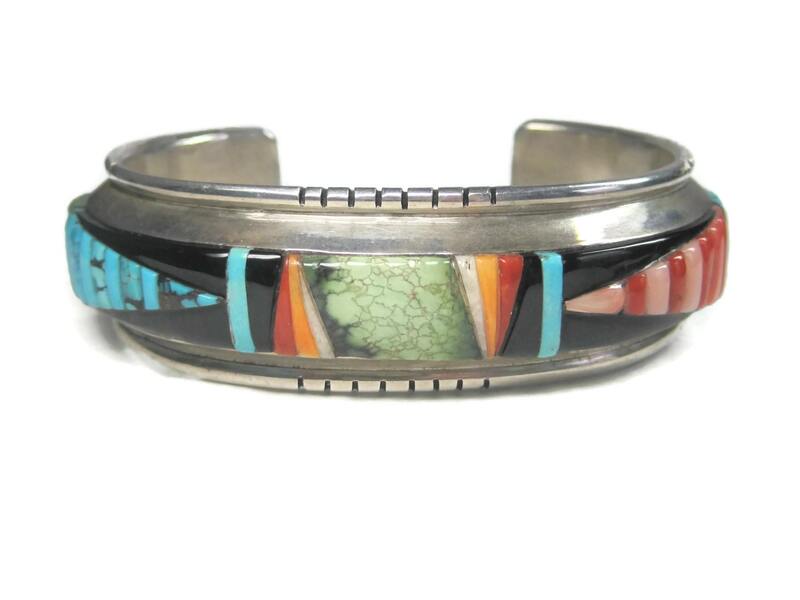 This amazing Inlaid cuff bracelet is sterling silver. 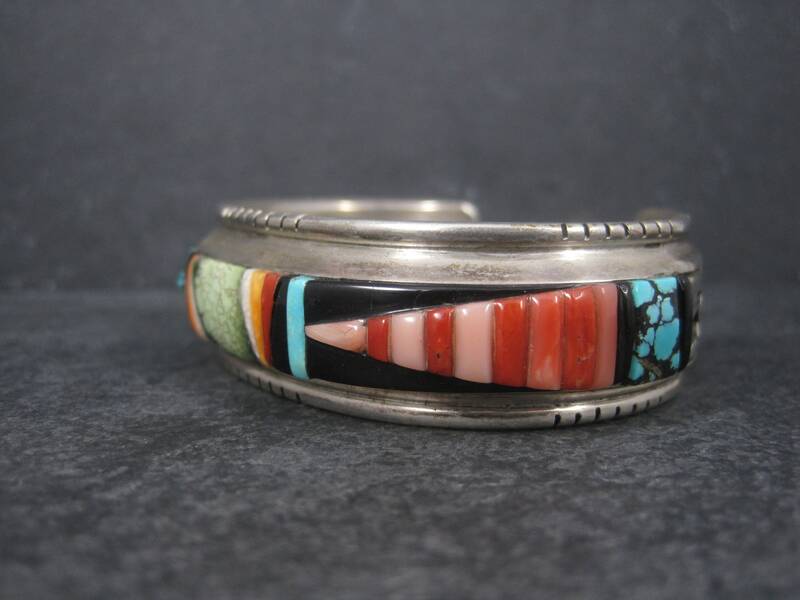 It features intricate inlay in jet, coral, 5 different types of natural turquoise and different colors of spiny oyster. 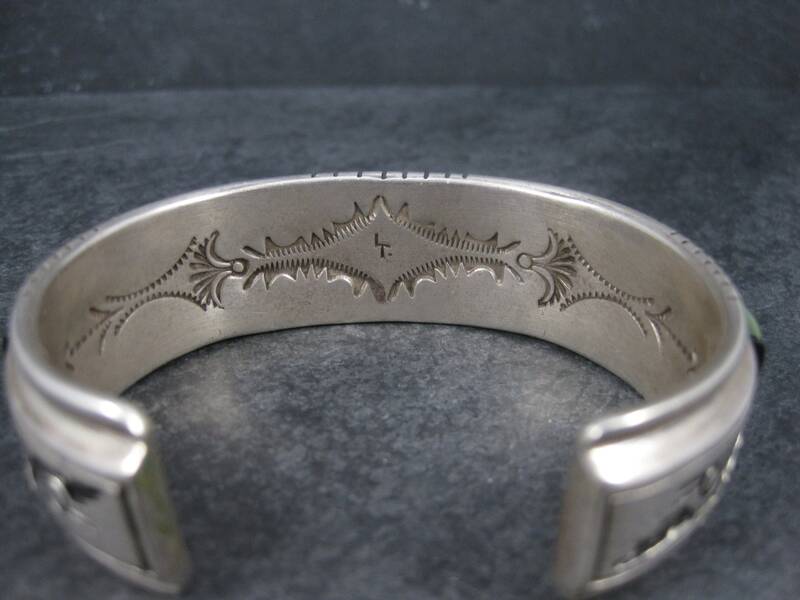 This bracelet measures 13/16 of an inch wide. 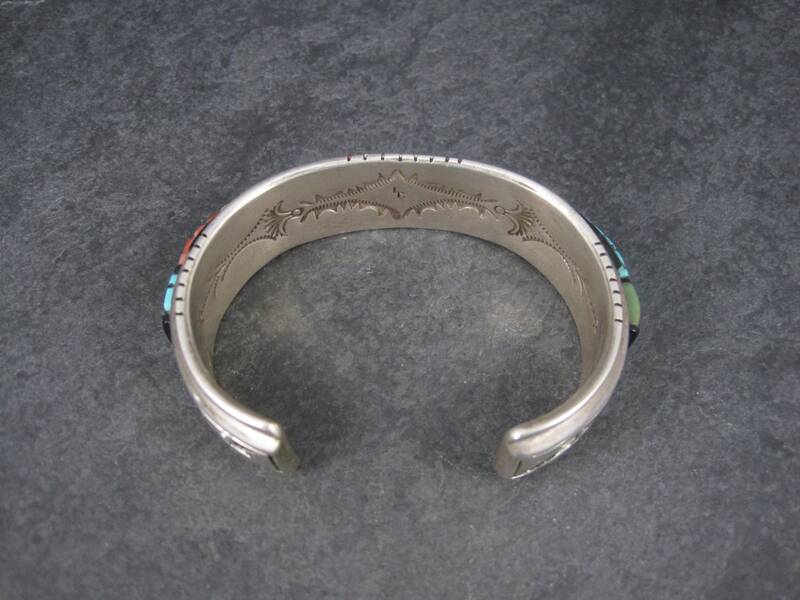 It has an inner circumference of 6.5 inches, including the 1.25 inch gap. 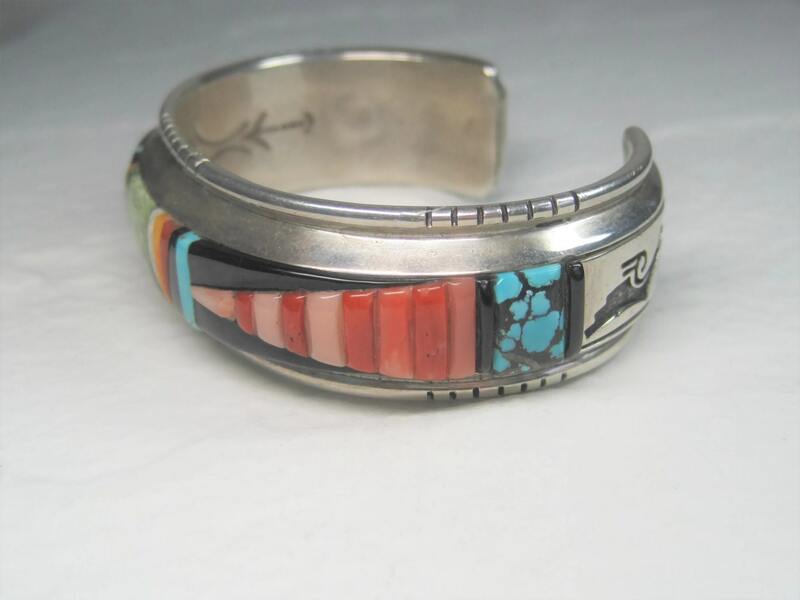 This particular LT hallmark belongs to Navajo silversmith Leroy Thomas. 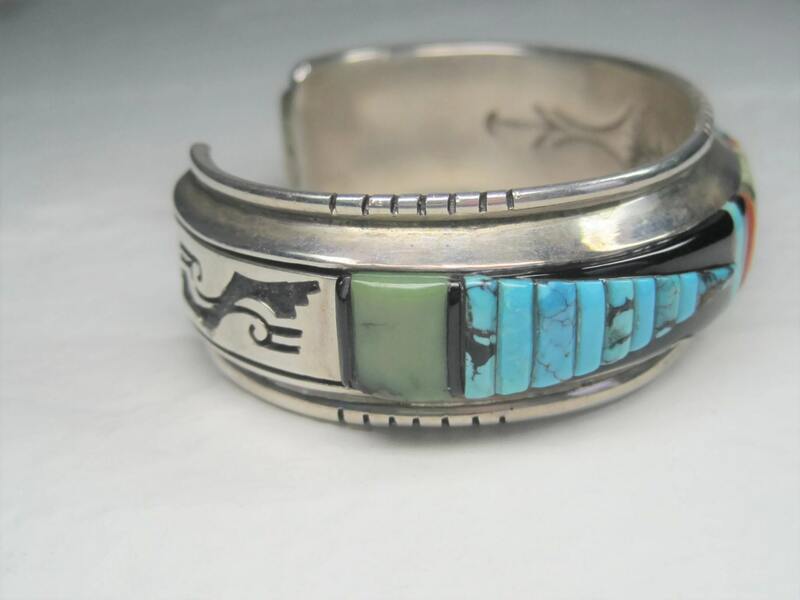 He was also known as Leroy Thompson and Leroy Turquoise. 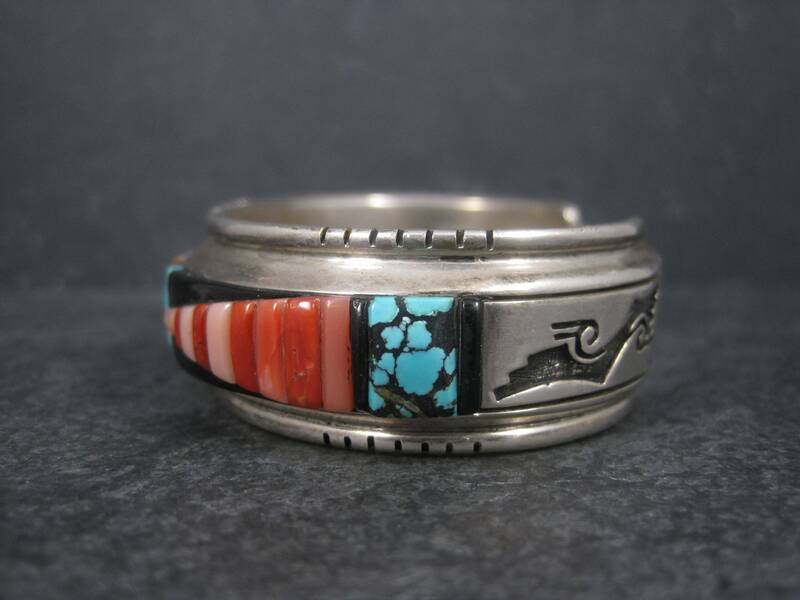 Leroy worked for both the Atkinson Trading Co. and The White Hogan.